What a wonderful quote and it fits perfectly how I feel after listening to the long awaited second album from Riversea, the on/off musical project of my good friends Marc Atkinson and Brendan Eyre. The music and lyrics that they have written come from their very heart and soul and when it is conceived like like, it has the ability to almost come alive and infuse the listener with all the joy and love that went into creating it. It’s not just music it is alive, vibrant and soulful. 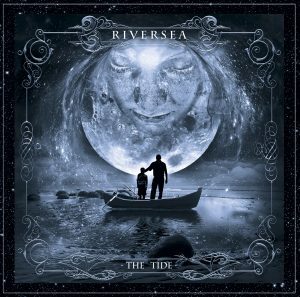 The opening of The Tide sees Peter Aves powerful guitar give a dramatic edge before the subtle layers of Brendan’s keyboard work adds a real sophistication. This is an album full of exquisite nuances and he distinctive soulful vocals of Marc leave a cultured trail wherever they lead, is there a more emotive singer around at the moment? I think not! These songs are created with layers of beauty and polish and seem to flow organically. 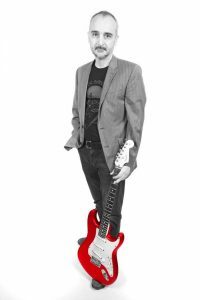 There’s a funky edge to Shine that is punctuated by the uplifting chorus and the superb guitar work of Lee Abraham who delivers a vibrant solo. Marc and Brendan have spent a long time creating this musical work of art, fitting it in around their daily lives and other projects and it is the level of care and attention to detail that stands out across the meticulously crafted songs on this album. I can imagine the painstaking process that went into each note, there is nothing here that doesn’t belong and it makes for a quite wonderful release. 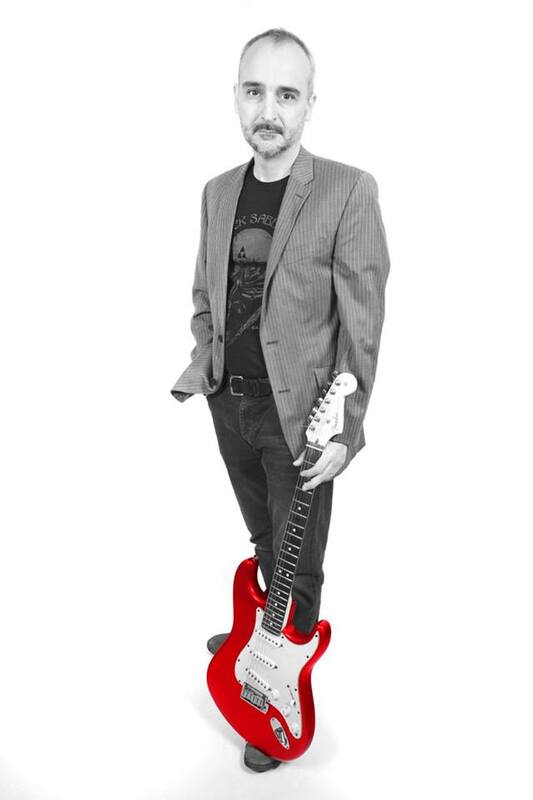 The passionate Blasphemy is another highlight among many with Paul Cusick’s sensuous guitar work adding layers of intensity to what is a really powerful song, the music intense and impassioned and Marc’s voice a commanding presence. Brendan Eyre weaves an absorbing web with his refined keyboard playing throughout this amazing sonic tapestry and the rhythm section of Dave Clements’ bass and the drums of Alex Cromarty provide a suitably assured back drop. Every track is exceptional, it’s rare to get an album without at least one throwaway song but the songs intertwine perfectly with each other, the wistful and nostalgic Your Last Day sees a wonderful low key and slow burning guitar solo from Robin Armstrong and the silken six string of Simon Godfrey joins the guys on the touching strains of Strange Land, a song that has strong roots music foundations. It is a haunting piece of music and one which makes you look inside at your own heart and is followed by the contrast of the gloriously uplifting The Tide Reprise to close the album on a more thoughtful and hopeful note. There’s been some good music released this year already and also some utterly outstanding albums and ‘The Tide’ definitely falls into the latter category. Marc and Brendan have lovingly crafted twelve pieces of music that come together to create a release of beauty and refinement and one that will stay in your heart for a very long time. It’s not just music, this is something that is actually life-affirming and I can’t give it higher praise than that. Robin is the man behind Cosmograf and is an extraordinary musical storyteller. His involving concepts and often personal historical narratives take you, the listener, directly to the centre of the story and envelop you in a whole gamut of emotions, all invoked by his remarkable songwriting. I’ll confess, I have never heard ‘When Age Has Done Its Duty’ before so I can’t give a ‘before and after’ review but, as a big fan of Cosmograf, I’ll tell you what I think of this release as a whole. The concept of the album is based around Robin’s personal experiences as a boy, visiting his Auntie Mollie and Uncle Harry at their home, Pear Tree Cottage, in a tiny village called Cleobury North in rural Shropshire and he has expanded the concept to cover the emotions and experiences we feel through the ageing process from birth to death. The stunning, original artwork is done by Graeme Bell. Into This World is a an eleven minute piece that sets the scene with ‘Birth’ as the theme and is instantly recognisable to any fan as a Cosmograf track. Slow building and slow burning with a fragile piano note and Robin’s distincive vocal, the clever lyrics are used to convey the hopes, fears and aspirations that follow the bringing of a child into the world. A powerful and edgy song where the stylish drums of Bob Dalton are used to very good effect. 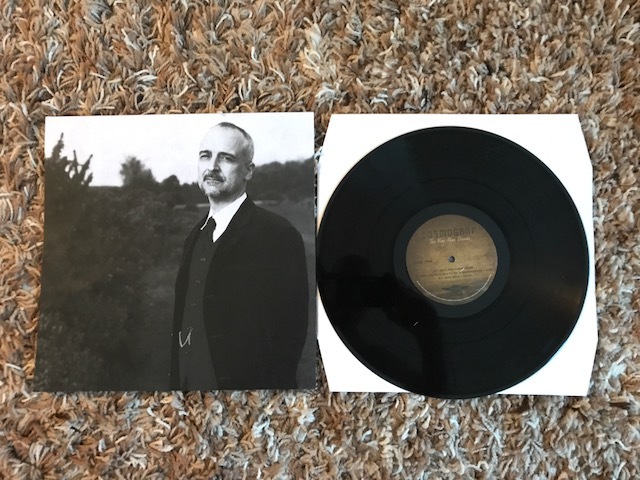 As always, this excellent musician has you gripped from the first note with a moody and atmospheric song that asks questions and, while there is always a feeling of venturing into the unknown, deep down it is hope and optimism that is at the core. The elegant bass of Steve Dunn joins us for Blacksmith’s Hammer, a tribute to his Uncle Harry who worked the forge, shoeing horses right up to his death, age 73 in 1987. It’s an uplifting piece of music, an ode to a modest life where simple pleasures (like smoking a pipe) were enjoyed to their full. An almost spiritual song, there’s a superb (if short) guitar solo that burns with a humble honesty and the lyrics literally describe his demise; he sat back from shoeing a horse and drew his last breath. Written about Pear Tree Cottage, a special place in Robin’s childhood, On Which We Stand was originally a poem which he wrote to read at his Aunt’s funeral and has become the lyrics to this beautiful song. A wistful and nostalgic opening courtesy of Simon Rogers’ guitar opens into a sublime vocal where Robin reminisces of all the happy times he had in the cottage, the games and the fond memories of he pastimes that made it such a wonderful place. Sit and listen to the words, let the music wash over you and you can almost imagine being there, a sentimental musical journey down memory lane. An old light switch that Robin remembers triggers flashbacks to previous memories and dramas, this is the essence of Bakelite Switch, sounds or smells we experience that snap you back to a previous event in time. On my first listen to the album, this was one of the songs that immediately stood out, the compelling , almost mysterious opening that erupts into a forceful and dynamic guitar riff catches your ear straight away. Bob’s drums drive the track along and you’re hooked as soon as Robin’s vocal begins, “We had electric light in the 70’s, flick the heavy switch, lights up all our lives.” A very involving song that speaks about the novelty of going back to a house that is very much ‘back in time’ and the emotive guitar solo from Luke Machin combines with some swirling keyboards to add even more drama to the visceral memories that Robin is invoking. Huw Lloyd-Jones adds a poignant vocal to the emotive background of Memory Lost. The song is about an old lady battling on as best as she could after the death of a partner, and living alone with her memories. The title referring to hanging on to the only thing you have left when someone dies…your memory of them. 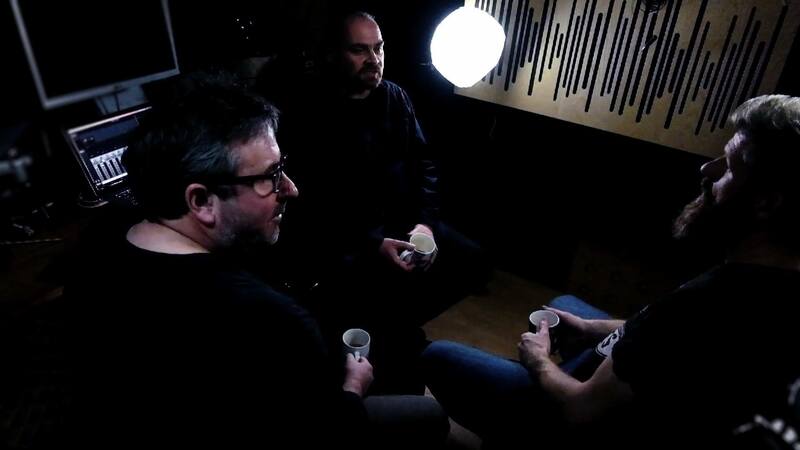 A pared back and sincere track that really hits you hard and makes a mark on your heart and soul, a single tear rolls down my cheek as I listen to the intensity of Huw’s voice, Robin adding a wonderful harmony. I challenge you not to be moved by this seven minutes of Robin trapping history so he would never lose the detail as the years passed, the guitar solo that closes the song is just superb. Documenting Mollie’s last days at the cottage, title track When Age Has Done Its Duty opens with a wonderful recital of ‘Growing Old’ by Tom O’Bedlam spoken over an eloquent piano and keyboards and then Steve Thorne lends his stirring vocals to this bitter-sweet tale. In the 20 years after harry’s death, Mollie always seemed to just be waiting to be with him and in the days leading to her death she just huddled against the Rayburn in the kitchen refusing to eat or move. A sad but elegant song that documents the passing of this proud woman. Robin’s songwriting skills really come to the fore on this track and his choice of Steve Thorne as the vocalist is perfect, the pathos and sentiment he brings to every word is perfect. Just when your emotions are as strung out as you think they can be, Robin fires another stupendous guitar solo at you, leaving you utterly drained. White Light Awaits takes on the question that has been asked through the ages, what happens after you die? Written as if Robin was having an ethereal conversation with Mollie, asking her what it was like to die and did she experience anything after death. Being a devout Methodist, she would have been appalled by this idea. 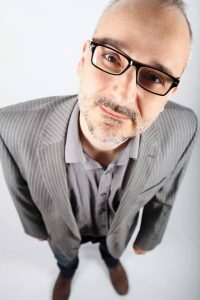 There’s a bitter, angry tone to the song and the edgy guitar of Lee Abraham adds to the almost cynical, questing tone of Robin’s vocals. Drums are, this time, provided by Dave Ware and their dynamic feel just adds to the challenging aura. The album closes with the heartwarming Dog on the Clee, an inspring song which tells the story of Robin forging a privileged bond with Mollie’s Border Collie ‘Laddie’, a dog that didn’t really like many people at all. 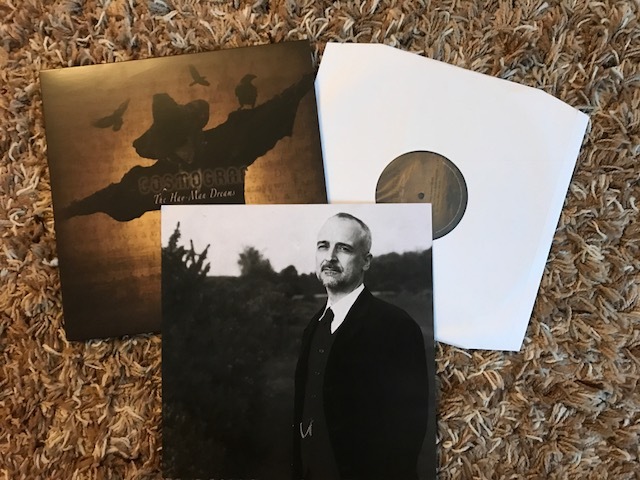 The graceful acoustic guitar and Robin’s ethereal vocal bringing a sense of wonder and inspiration to the final chapter in this utterly captivating story. It may have been originally released in 2011 but this completely remixed and mastered version of ‘When Age Has Done Its Duty’ feels as fresh as if it was recorded yesterday. Possibly the most emotional journey that Cosmograf has ever taken me on, I feel it is Robin at his most open, a wonderfully involving musical journey with a narrative very close to his heart. There’s nothing quite like a Cosmograf album and this could possibly be the best of them all. Oh, and for vinyl fans like me, there will be a vinyl release later in 2018! 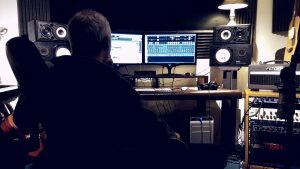 Surely every musician strives for perfection on every new record that they are working on but perfection cannot be attainable otherwise what else could they seek to achieve? When you follow an artist across their album releases you accompany them on this journey to a perceived nirvana of musical enlightenment, every release opening another door into their soul for clearly that is what every musician leaves with their music, a piece of themselves? Robin Armstrong is the man behind the highly respected musical project Cosmograf, the Cosmograf sound is rooted in 70’s classic rock with a contemporary and progressive twist with obvious influences from classic progressive rock such as Pink Floyd, Yes and Genesis, but with more contemporary flavours from bands such as Porcupine Tree, Muse, and Radiohead. 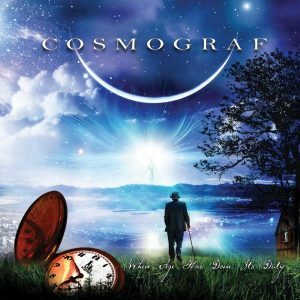 Cosmograf albums are built around concepts – Conceptual Progressive Rock allows the freedom to span genres, stop and start in different tempos, with the inclusion of relevant soundscapes and effects to build the story. This creates a musical freedom far beyond the commercial rules and constraints of a disposable 3 minute pop song. Robin’s musical odyssey began in 2008 with a rough demo called “Freed from the Anguish” and ‘End of Ecclesia’ which was self released in 2009. The break-through release that really brought Cosmograf to the music industry’s notice was ‘When Age Has Done Its Duty’, released in 2011 and the quality and excellence never let up through 2013’s ‘The Man Left In Space’, 2014’s ‘Capacitor’ and last years superb ‘The Unreasonable Silence’, a release where many thought Robin had actually reached his musical zenith. 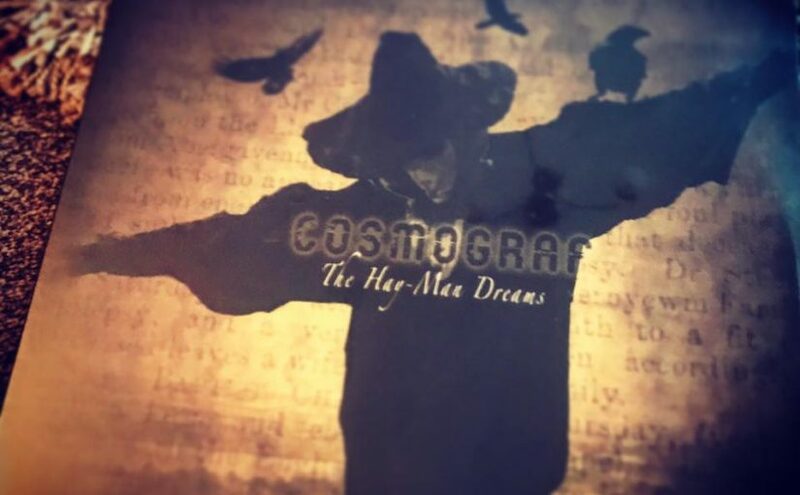 However, an artist with the talent and imagination of Robin Armstrong can’t sit on their hands and, despite health problems (thankfully resolved now), Robin has returned with another Cosmograf release ‘The Hay Man Dreams’ which, for the first time, will be released on vinyl through Chris Topham’s Plane Groovy label. 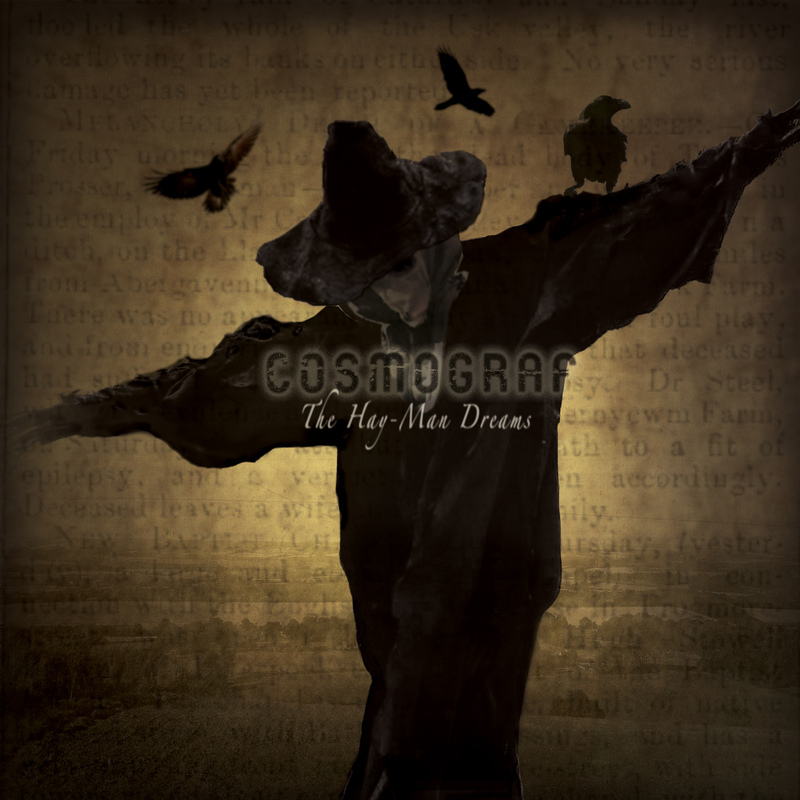 A retrospective album in both theme and style, ‘The Hay Man Dreams’ harks back to the sound and feel of the classic prog era fused with the raw energy and darkness of a rock behemoth. 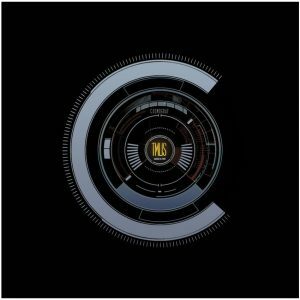 The 6 track album is measured at a single LP length and instrumentally delivers the vintage sound of guitar, bass and drums with a sprinkling of classic keyboards. The theme presents as a mythical tale of a farm labourer meeting an early death, and leaving a loving wife and young family. His widow builds a scarecrow effigy as a shrine to her loss, and this ‘Hay-Man’ spends his weather beaten days in eternity, dreaming beyond his field. The new album features guest performances from Rachael Hawnt (The Beautiful Secret), Kyle Fenton (These Septic Stars), Matt Stevens (The Fierce and the Dead), Rachel Hall (Big Big Train) and former BBC Voiceover artist David Allan. 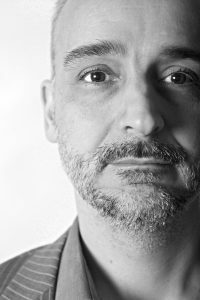 The ominous and suspenseful opening to the first track Tethered And Bound raises the hairs on the back of your neck and David Allan’s atmospheric voice-over just helps to build the tension. The eerie feeling continues before a powerful and methodical guitar riff breaks through the uneasiness and Robin’s distinctive vocal adds an authoritarian tone. This song is pure and definitive Cosmograf but turned up to 11 with emotive guitars and mountain moving percussion provided by Kyle Fenton. It’s like the best of progressive rock met math-core and morphed into something quite unique. I love the creeping tension that lies throughout the song, it’s almost like hiding behind the sofa watching Doctor Who when I was a kid but brought bang up to date for the 50-something adult I am now. A really powerful, imposing piece of music that dominates its surroundings with Rachael Hawnt’s vocal talents also put to good use to add even more theatre, a thunderous start to proceedings. Trouble In The Forest is a massive contrast with its wistful, gentle nostalgic opening that is full of the feeling of lazy, hazy sunny days and a forest with the dappled sun’s rays lighting up the forest floor. A wonderfully calm and collected track full of assured grace and composure. There’s a feeling of longing to the elegant, ethereal guitar and contemplative percussion that gives an otherworldly aura to the music. I can’t imagine a more laid back song that I’ve listened to this year as Robin’s voice finally joins in, all soothing and tranquil and with a meditative timbre to it. The tempo increases slightly, a note of urgency bleeding into the vocals before another voice over from Mr Allan sets the scene. 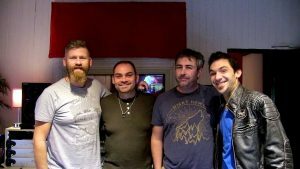 The gentle meander and preamble takes on a slightly discordant edge as the immediately recognisable tone of Matt Stevens’ guitar opens up and he goes into Guthrie Govan mode with an intricate and convoluted guitar solo that only a guitarist of Matt’s talent could ever hope to deliver. The snaking, coruscating guitar work fits in perfectly with the almost spiritual ambience of this song and the ambient effects add even more mystery as this superb piece of music comes to a serene close. A stylish acoustic guitar motif opens The Motorway with an assured note, another tell-tale Cosmograf sound that is instantly known to this reviewer. It lulls you into a false sense of security as it gently ambles on before Robin’s emotive vocal begins, backed by Kyle’s classy drums and a real 70’s sounding keyboard, Rachael’s carefully considered backing vocals adding lustre. Everything seems good natured and jaunty as the song moves along at a measured clip but the mood changes as Robin’s voice switches to a more ardent intonation and the whole song seems to transform into something altogether more serious, sombre and thoughtful. A thunderous riff emerges and the drums go all native on us as Robin turns into a seriously heavy rock vocalist, all dark and dangerous, it’s quite an about face, I’m thinking 70’s Deep Purple or Bad Company myself. A sultry break with more of that acoustic guitar calms things before Robin opens up with a superb guitar solo that literally pins your ears back to the side of your head and screams passion, fervor and feeling at you (yes, it’s air guitar time!) 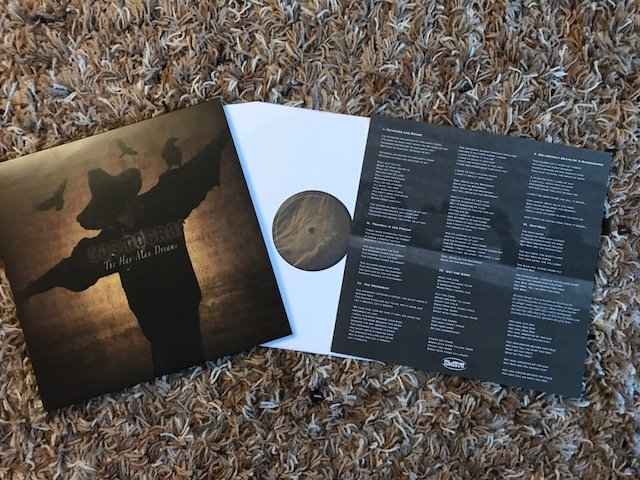 before the song comes to resounding close and so does side one of this utterly captivating and arresting vinyl release. A deliberate and pensive piano opens Cut The Corn, the first of two relatively shorter tracks, and this precedes Robin’s instrospective, absorbing vocal, full of sentiment and warmth and yet there’s a melancholy edge that runs throughout the song, a yearning and a longing for something out of reach and this adds a fragile beauty to the whole track. 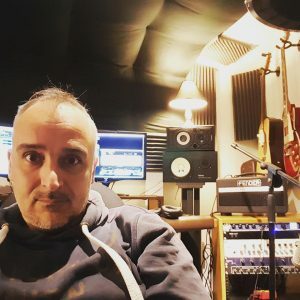 The tempo is deliberate and restrained and adds to the mournful sense that emanates, even more so when the reflective and thoughtful acoustic guitar is played to the captivated audience leaving you lost in thought as the track comes to a close. The emotion, passion and fervor reach a climax on the wonderfully stirring and affectional Melancholy Death Of A Gamekeeper, a track where, if I didn’t know better, I’d have thought Robin had co-opted David Gilmour into appearing. The whole song is a complex blend of emotions from Robin’s sultry vocal, Kyle’s elegant drums and the flowing keyboards but it is the incredibly impressive guitar work that really stands out and makes this a song I keep returning to time and time again. I could sit and listen to the searing, powerful and ardent playing all day long, this is music that moves you on a primal level and stirs the soul, I can’t get that guitar note out of my head and I don’t want to either. Touches of Pink Floyd? Yes, but it’s an affectionate nod of the head, not a blatant copy and I think it works fantastically well. Well, it is going to take something really special to top that and, to Robin’s eternal credit, he just gets on with it and produces another instant classic with the title track The Hay Man Dreams. From the first exquisitely delivered word that Rachael Hawnt utters we are given a song that will stand the test of time and should be considered a classic of the genre. Rachel’s hypnotic vocal is utterly beguiling and enthralling and the guitar, bass, drums and keyboards ooze style and sophistication. A track for late nights, darkened rooms, powerful red wine and forgetting about the complexities that life throws at you. The longest song on the album at over twelve minutes, not a second or a note is wasted and Robin delivers possibly his best guitar work yet with playing that bewitches, dazzles and delights even the most seasoned hack, just sit back and enjoy. That’s not all though, it’s a song in three or more parts and the mood is broken by David Allan’s voice over one more time before things take a darker turn as the carefree jazz/blues guitar is overwritten by a more compelling and aggressive riff, the drums dominating and Rachel delivers an outpouring of passion and fervor as the atmosphere turns chaotic around her, as if a tornado has hit the Hay Man. All of a sudden an argent and incandescent guitar solo breaks loose irradiating the sky, a furious and dynamic piece of guitar playing that hits you right in the solar plexus. This thunderous refrain comes to a sudden halt to be replaced by the elegant strains of Rachel Hall’s violin and order is restored once more. The album closes out with a feeling of pastoral calm and relaxed repose as the needle comes to a stop and silence settles around you. What an incredibly emotional roller coaster Robin Armstrong has taken us on. I have no qualms in saying I have always been huge fan of his music and on ‘The Hay Man Dreams’ the sheer scope of his songwriting and imagination is barely conceivable. Cosmograf albums are lovingly crafted nuggets of musical brilliance created not for commercial gain but for the enjoyment of the listener and, on this latest opus (especially as it is available on vinyl), Robin has delivered his most impressive work yet. Perfection? maybe not but it doesn’t get much closer than this. 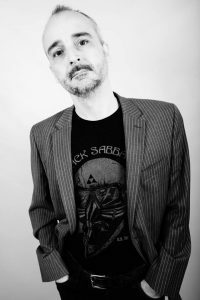 Great news for cosmograf fans, the man behind it all, Robin Armstrong, has announced that there will be a limited -re-pressing of the brilliant 2013 release ‘The Man Left In Space’. 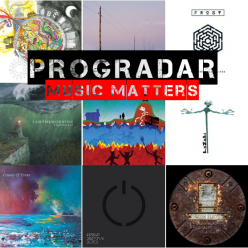 The 9 track progressive rock album draws on many past and contemporary influences in music, and takes a journey into the unknown to feed the imagination, and appetite of the listener of intelligent music. It features a number of special guests from the progressive rock community including Nick D’Virgilio (Spock’s Beard/Big Big Train ), Dave Meros (Spock’s Beard), Matt Stevens, Greg Spawton (Big Big Train), Simon Rogers, Steve Dunn ( Also Eden ), Lee Abraham ( The Lee Abraham Band ), Luke Machin ( The Tangent/Maschine ) and Dave Ware. 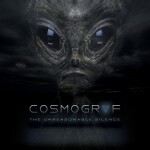 Let me introduce you to the fifth studio release from Cosmograf, ‘The Unreasonable Silence’ is an existential concept album with an alien theme, based on ‘The Myth of Sysiphus’ by the French philosopher Albert Camus. “It’s essentially a more modern re-telling of Camus’s writngs about makind’s struggle to understand the universe and our role within it”, says the concept’s creator Robin Armstrong. 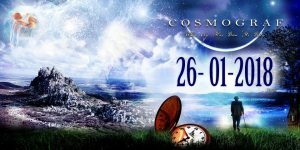 Cosmograf is a progressive rock project lead by Robin Armstrong, a multi instrumentalist progressive rock musician from Waterlooville nr Portsmouth UK. The sound is rooted in 70s classic rock with a contemporary and progressive twist. 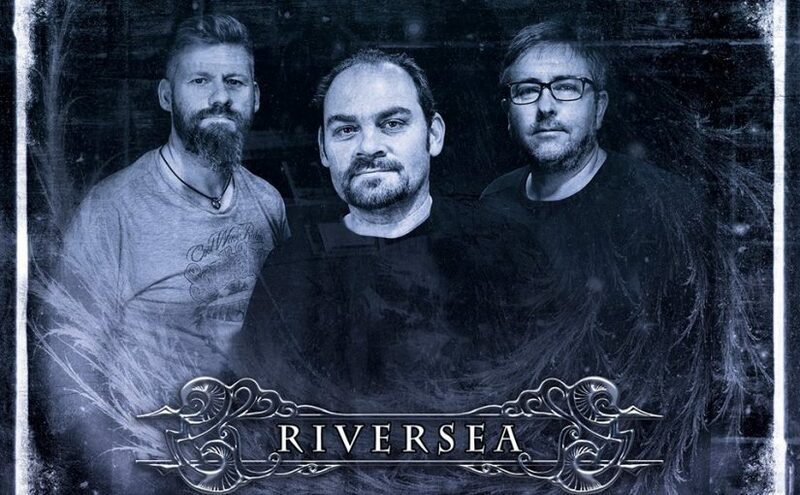 Influences are Black Sabbath, Deep Purple, Pink Floyd, Genesis, Yes, Porcupine Tree, Muse and many others. Through four previous albums, ‘End Of Ecclesia’ (2009), ‘When Age Has Done Its Duty’ (2011), ‘The Man Left In Space’ (2013) and ‘Capacitor’ (2014) Robin has been joined by a ‘who’s who’ of musical collaborators to create amazing jewels of intense musicianship woven around immaculate storylines and ‘The Unreasonable Silence’ sees him tackle his most ambitious project yet. Music produces something inside me that mere life cannot replicate and Cosmograf’s work has, on occasion, opened up the universe with a clarity I haven’t seen before so a new release is always something I am going to look forward to with intense longing. Robin’s cast of distinguished guest performers includes Nick D’Virgilio (drums), Nick Beggs (bass), Dave Meros (bass), Rachel Hawnt (vocals) as well as a number of voice acting contributions (including my dulcet tones, but don’t let that put you off). Between our quest for knowledge and refusal of the world to give up its secrets, lies the concept of absurdism. Camus, in his original essay, describes Sysiphsus condemned to a pointless labour, to illustrate the absurdity of human existence. Robin Armstrong twists the story to portray a modern character disillusioned with his own life to the point that he believes his destiny may reside in another world. ‘The Unreasonable Silence’ explores the themes of paranoia, social withdrawal and conformity, and ultimately the search for meaning in our own existence. Echo $abduction is the atmospheric instrumental opening to this theatrical feeling work. It fades in quite ominously with a languid guitar line and atmospheric keyboards. The sound of a V8 Mustang engine piercing the uncanny and supernatural gloom beginning this mysterious paranoiac tale perfectly. This Film Might Change Your Life begins with a distorted soundtrack and then the drums join in before the whole thing erupts with a video game vibe. 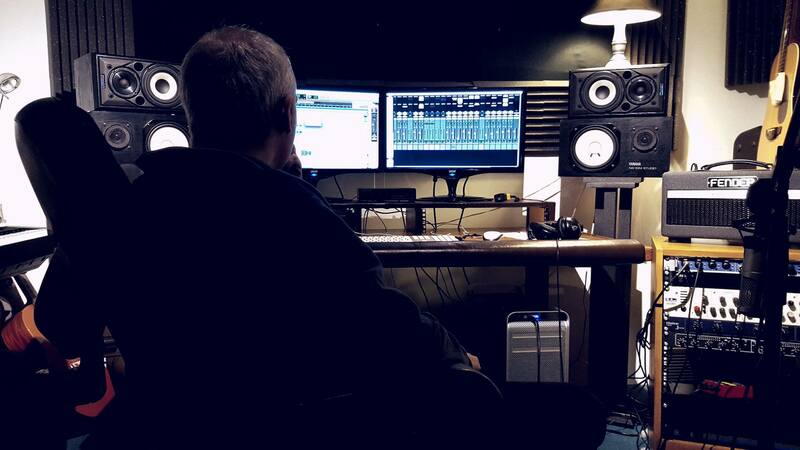 A voice over holds you rapt, the music rooting you to the spot, holding position perfectly. The cinematic feel is tangible, it’s like a movie running in your mind to which you can only hear the soundtrack. A big riff kicks in, rhythm section complimenting perfectly before Robin’s guitar breaks free on a convoluted, contorted guitar run of intense brilliance. The wait has been worth it, this is Cosmograf and then some. A calmer mid-section precedes another spine-chilling voice over, the tension building before the vocals finally begin. The story begins of an encounter with a supposed alien, the protagonist’s terror is almost tangible. The music and words depict the paranoia perfectly and you are already awaiting the next instalment with bated breath…..
A dolent piano note opens Plastic Men, overlaying a telephone answering machine filling up with messages for the missing man. There’s solemn tone pervading the track as the vocals begin with an impassioned note. Dark thoughts from a disillusioned mind, the music imparting this feel perfectly. A massive riff hits you along with Robin’s tortured voice, almost screaming the words. This ebb and flow between the almost cathartic verses, low key and downbeat, and the thunderous delivery of the chorus really plays on the mind allowing you to sympathise with what misapprehensions may be present. Another worried telephone message closes the song with a disquieting feel. RGB is a dramatically tense four minutes of delicate music overlaying Robin’s hauntingly whispered vocals. The tension is delivered more by what you can’t hear than by what you can, like the days when you hid behind the sofa watching Dr. Who. It seems to have a hallucinatory atmosphere like you are trapped in the mind of the man who is confused by reality. I really like its nostalgic and obsessive ambience. A psychedelic guitar opens Four Wall Euphoria with a far out feel to it before the vocals begin, telling the story of a man deep in his paranoia. Stuck inside his own ‘four walls’and happy to be separate from the outside world. A real Pink Floyd sound permeates the whole song with the epic backing vocals from Rachel Hawnt,the 70’s infused keyboards and the funky guitar note. There is a really insular aura emanating form the track, the lyrics speaking of fear, dread, religion and medication. Superb musicianship enhances the believable storyline and you feel as if you are in the middle of a man’s very personal breakdown. For those of a delicate nature, look away now, my voice over is somewhere in The Uniform Road, I won’t spoil the surprise any more. The edgy, suspenseful atmosphere is brought to boiling point by the phone messages and industrial feel to the opening. Harsher notes from the keys and percussion underscore a hushed vocal before a heavy, staccato riff and Robin’s piercing voice ramp up the intrigue even more, real ‘edge of your seat’ stuff. Is it just paranoia or are they really coming? The riff has a feel of Led Zep’s Kashmir to it and the ever increasing power of the vocals give it real stand out presence. The 70’s edge is more and more of an influence as the Led Zep comparison increases. There’s a real sci-fi feel to the off-kilter guitar solo with the impression of lasers firing and you sense you could be in the middle of an alien invasion but, is it real or imagined, this song really screws with your mind in a brilliant way. Spooky and euphoric, the groove of The Silent Field is definitely full of expectancy and suspense. Our protagonist believes he is going to meet the aliens and seems happily resigned to his fate. The song gets under your skin and definitely leaves a question mark in your mind. Relativity is a dreamlike song, much akin to the tracks on The Man Left In Space, laid back and chilled even. There’s a surreal aura around Robin’s laconic vocal and the airy guitar note is almost hypnotic. In his self-absorbed psychosis The man really feels he has been abducted and you have the box seat as you absorb and ponder over his experiences. Punchier riffs and more emotive vocals bring an undercurrent of anguish and despair to the song and the restless and uneasy guitar solo and drum beat do nothing to dispel that notion. 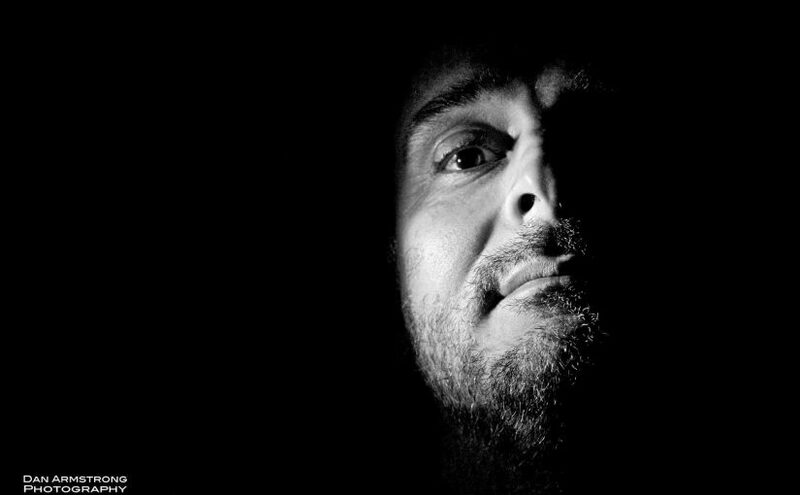 A deliciously dark track that lays itself bare before and leaves nothing behind. The final, and title, track on the album, The Unreasonable Silence is Robin Armstrong at his absolute best. A superbly constructed and thought out song that probes and quests and holds your attention rapt throughout. The laid back, uninhibited and self-possessed guitar solo that opens this piece is sublime and then the vocals begin with world weary depth to them that feels like it spans the ages. There are subtle ebbs and flow, hints of things unseen and an intelligence that is most definitely of alien origin. Next comes an utterly mesmerising solo that steals your soul,at this point you raise the white flag and surrender to the stunning and superlative skill on show. The tension then builds to a mouth watering close to the song and the album with Rachel providing the dramatic vocal ending to this sobering and inventive tale, was it all in his mind though? Thought provoking, questioning and inventive, ‘The Unreasonable Silence’ has all that I ask for in my music. A well constructed and intelligent concept brought to reality by a gifted musician with incomparable support from some incredible guests. 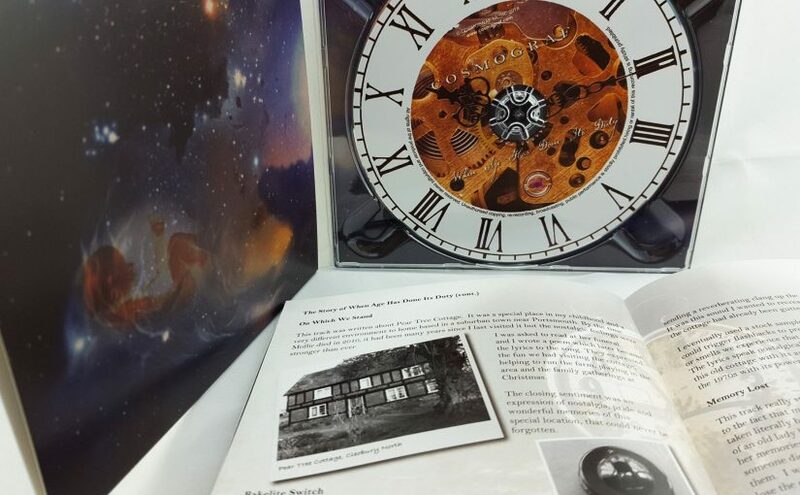 It makes you really think about what you have heard and, above all, is a peerless, outstanding and incomparable listening experience that you will not forget any time soon.